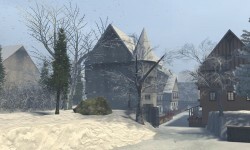 Explore 3D replicas of famous landmarks and locations in Second Life. 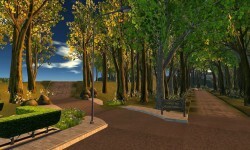 Travel the virtual world without leaving home! London City West is a picturesque and leafy suburb of London. With rolling hills and pastures, this carefully terraformed land offers stunning views with a realistic and natural flow. Hollywood is a wonderful place to come and just stroll around. Bring your sweetie and enjoy walking along the Walk of Fame, take in the views of the Starboards Yacht Club and the vibrant marina. Take a picture with friends as you all sit atop the world famous Hollywood sign. Come on your own and enjoy some solitude and relaxation sitting at one of our many wonderful and relaxing vistas. Welcome to Yūrei, loosely based on Aokigahara Forest in Japan. This dark and lush forest bordering Mt. Fuji has gained the reputation as the perfect place to die. Do not go off the trail as many have been lost and never found! 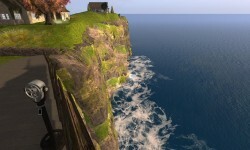 Lovingly replicated from the original in county Clare, Ireland, the Cliffs of Moher are part of a four-sim, 1939 Irish village called O'Hare's Gap. Come unwind and take in the views. You will find much to explore in this very Irish experience. 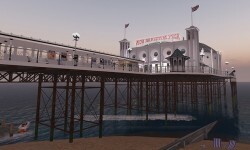 Loosely based on Brighton in the UK, New Brighton features a pier (and fireworks just after every sunset), scooters, shops, galleries, helicopter rides, a beach, diving, hot air balloons, jetboats, rides, UFOs and more. So what are you waiting for, get over here! 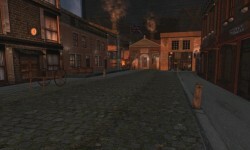 Travel back to 1888 and visit east of London in this recreation of the original Jack the Ripper crime scene, including at least three murder scenes. There's also a museum to explore and learn more. Vieux Colmar is a realistic model of old town Colmar, France. The Petite Venise and Ancienne Douane areas have flower-lined bridges and canals in spring and summer where you can ride kayaks and rowboats. Oahu Vacation Resort is built upon the inspiration of Oahu, Hawaii. This all-inclusive resort and couples retreat offers beautiful, breath-taking scenery and a variety of fun activities. Some of the major attractions for visitors include exploring the Mermaid Caves, swimming with dolphins, kayaking, windsurfing and the resort's adult beach. A memorial of the U.S.S Arizona allows visitors to pay respects to the fallen at Pearl Harbor. Welcome to the Oahu Vacation Resort. Cardiff is based on the original location in Katrina, but with modernized developments added to it. However, it still closely resembles the original built by The Temporal Architects. A large Doctor Who museum is open to everyone excited to explore their fandom of the series. 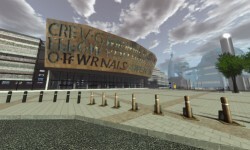 The destination is based on Cardiff Bay, Wales, United Kingdom.